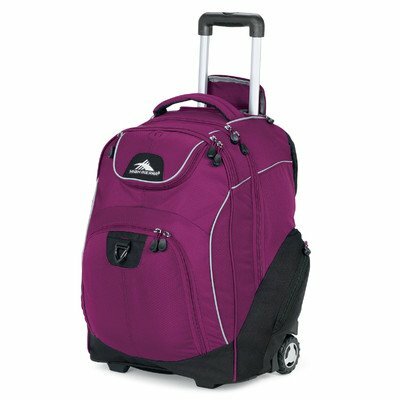 This is the summary of consumer reviews for High Sierra Powerglide Wheeled Book Bag. The BoolPool rating for this product is Excellent, with 4.50 stars, and the price range is $61.81-$99.99. 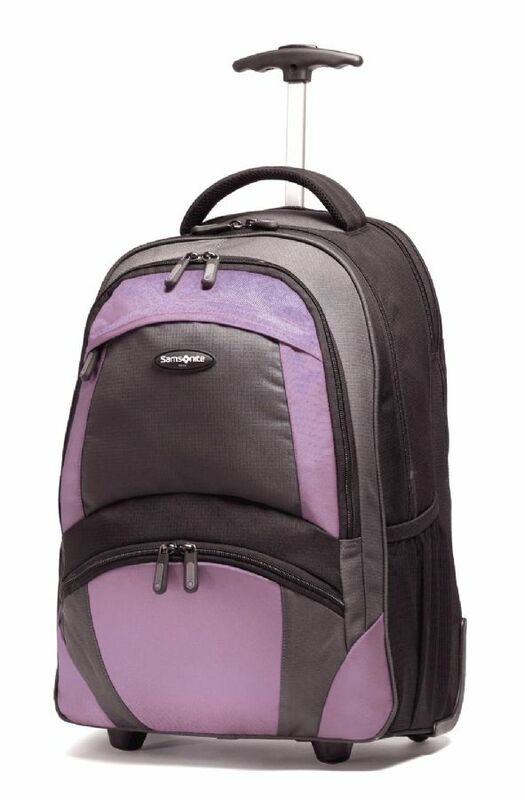 High Sierra Powerglide Wheeled Book Bag is a large, spacious, multi-compartment rolling bag with a padded computer sleeve that holds most 17" screen size notebook computers. A large, zippered front compartment has premium organizer with media pocket, zippered pocket, multiple open pockets and removable key fob. This book bag has smooth rolling, corner-mounted wheels and a long U-shaped double-tube telescoping handle to make the rolling easy. 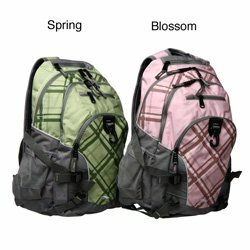 Contoured and adjustable padded shoulder straps make it easy and comfortable to carry the bag as a backpack. The bag looks big and bulky when carried as a backpack. 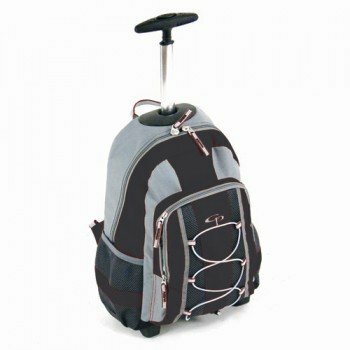 Overall, High Sierra Powerglide Wheeled Book Bag is perfect for serious students in schools, college and professional schools like nursing schools etc. It is made from Duralite 600-denier and has a waffle weave for more durability. Rolls smoothly and handle pulls out and retracts easily. I chose it mainly because of the U-shape handle verses a T handle. And the handle is very long so my 6 foot tall teenager can pull it easily. It does seem very sturdy and should last, as long as the handle is made well, it's too soon to tell on the handle. I bought this product after reading the reviews and researching on handles. I'll but a two legged handle any day over a single piston handle it's built for strong and takes a fair amount of rough usage by kids. Downside is handle doesnt let up or down properly. This backpack is a piece of garbage - handle extension broke the first week of use. The handle gets stuck on occasion and doesn't release as easy, but aside from that I'd recommend this item. Have to put hand inside bag to push handle up. The laptop compartment won't fit a 17" laptop as it claims. Everything fits, even my 15" laptop. So well made, tons of room, so easy to use, wheels are well designed so easy handle. Will hold up to a 17" laptop. It's a nice padded compartment for my laptop, the handle adjusts to two different heights and the bag is light weight. The laptop compartment is nicely padded and only unzips on the top so the laptop is in no danger of falling out. It's a front large compartment where I can fit my laptop and my i-pad. The wheels seem to be well designed, and I've never had an issue with the handle. 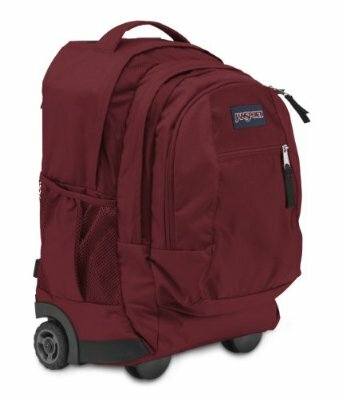 After a LOT of searching and reviewing, I finally decided on this wheeled laptop bag. The laptop sits in front of the books and that keeps extra weight off of my laptop. Lots of space & pockets. Lots of pockets and zippered storage. It holds a lot of stuff, and the wheels roll very nicely. Lots of pockets to protect a laptop. love the color, it's durable and nice . lots of pockets and room . great for school. Padded area holds my lap top to check match results, side pockets hold sun block, can of balls.Front small flap pocket holds money and ID, large front pocket holds makeup, pens, comb and brush and misc. Mid large pocket holds two racquets nicely!. The bag itself is also heavy even before anything in it.Very roomy and lots of pockets inside. I love the front pocket with all of the organizing pockets for small items...no more digging for my keys or pens. Play a lot, play tournaments, carry a lot of stuff. Unlike most suitcases or rolling bags, this bag rolls perfectly without any problems. Plus there's easy storage of both the backpack straps and the handle. Very roomy, Every functional, and easy to roll! 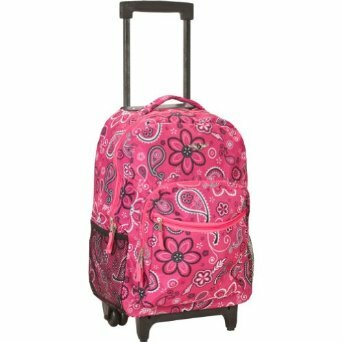 Bigger than other rolling backpacks and you can adjust the handle and it keeps my back from hurting. This backpack is full of pockets!!! In case anyone was wondering, I did keep my High Sierra backpack for it's necessary storage space and rolling capabilities. 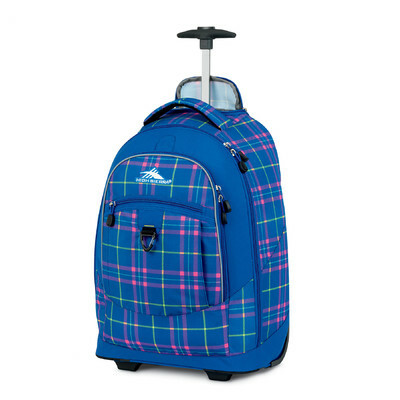 (2) Aesthetically, the backpack looks good while being rolled, but looks too bulky when using the straps. I was somewhat concerned that it mightn't be large enough for a heavy load of course books, but this bag is perfect- it'll fit all my books, my laptop, etc. Looking forward to rolling into Fall Semester with this bag ;). There's plenty of room for a lot of heavy text books and a pocket for a laptop. 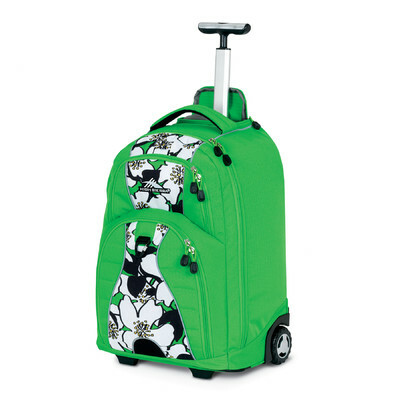 Its bottom is covered with thick vinyl widely and the wheels seem sturdy. Very stable and holds so many heavy text books. 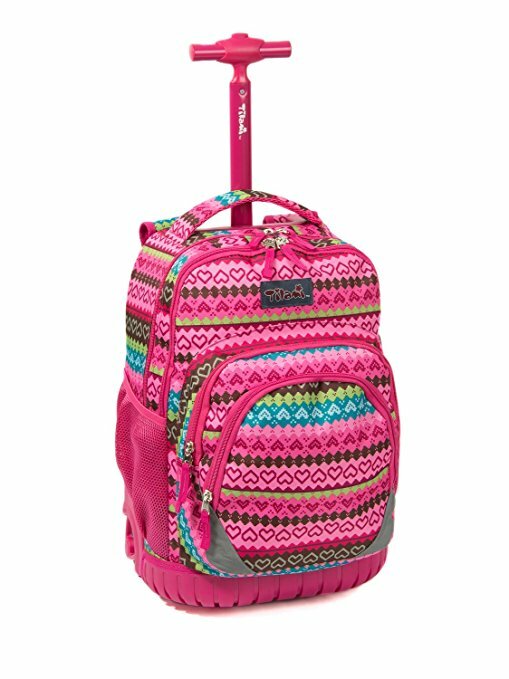 I love this rolling book bag. My daughter started middle school with no lockers and has to transfer all her books between classes. The Powerglide is spacious, well made, moves easily, has several pockets. I love the fabric handle on the top; it gives me a place to grab the bag when I put it in the back seat of my car (and trust me if you're in nursing school your bag is heavy).